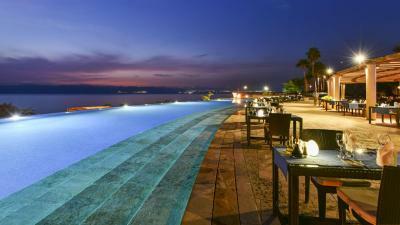 Lock in a great price for Kempinski Hotel Ishtar Dead Sea – rated 8.9 by recent guests! Incredible property and just about everything about our experience was 10/10. The food was surprisingly tasty and bountiful. 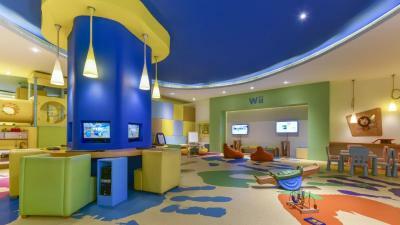 the staff were almost all incredibly helpful and friendly. 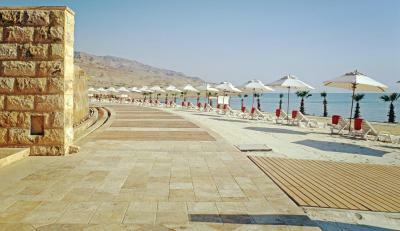 The access to Dead Sea was very good and the pools were beautiful , clean and heated. Noor was of note incredibly helpful and went above and beyond. We loved our room and the stay was made extra special by him. I don’t think we would have had as great an experience without his first impression. Except the cold spa rooms, everything else was amazing! But in this building we can use spa facilities i.e. in door pool with jacuzzi. 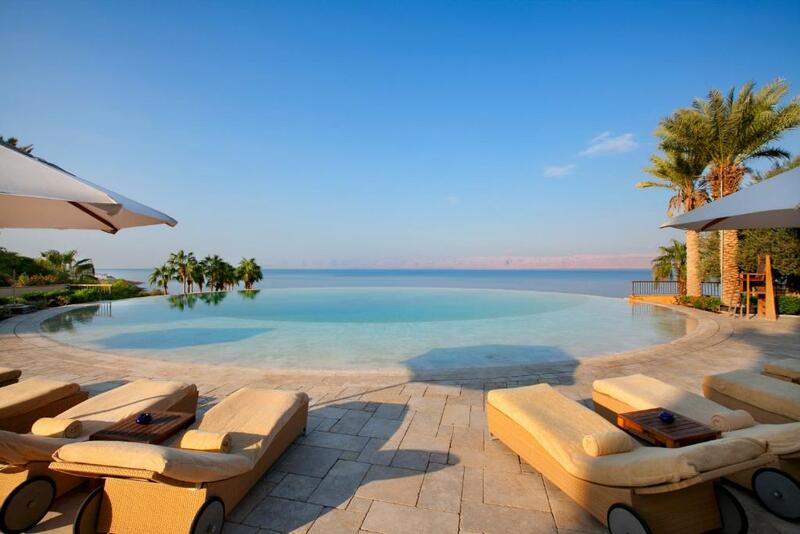 Dead sea indoor pool. All staff is friendly and helpful, I dont have to speak out, they see and know it. Minibar free but have no alcohol. There are free drinking water (small bottle) at the pool, and the beach. The pool areas are stunning! The Dead Sea mud experience is great fun and the attendant really helped us and gave us information. 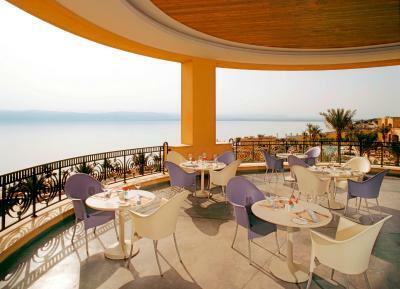 Our room had an amazing view of the Dead Sea and the breakfast was delicious. 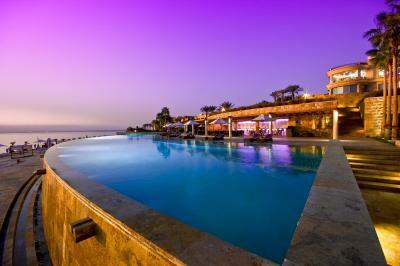 Great views, great staff, huge property, evening entertainment (band/belly dancer/etc.). 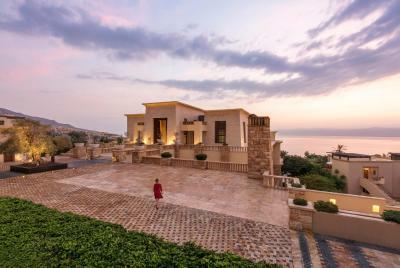 The property is outstanding and the pools perfectly located to enjoy the panoramic views. We had some special requests and the staff did a great job handling. 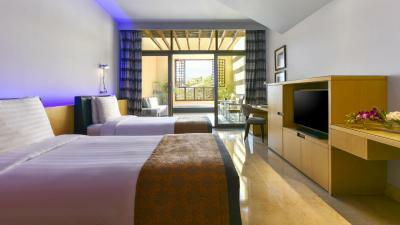 Beautiful hotel and facilities. Great restaurants. The Room was spacious and well established. 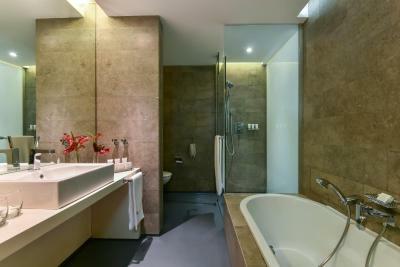 the Bathroom was Huge and elegant with a bathtub a shower case. The balcony corner was cozy for couples. Room service is excellent and extremely Sharp and fast. Breakfast was simply divine. Everything! 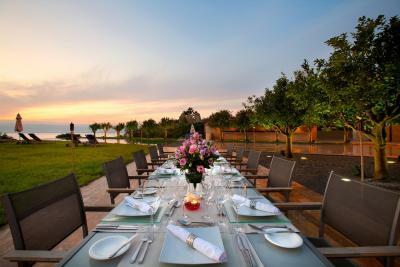 As expected, Kempinski have this sector covered at an exceptional standard and without compromise .......... dutifully assisted by an OUSTANDING Team from those who meet and greet to those you never see but should never be forgotten. 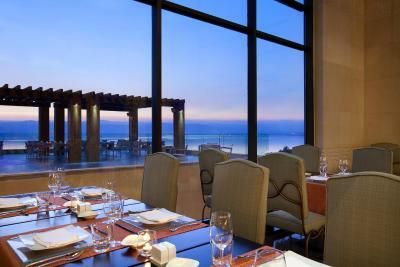 Kempinski Hotel Ishtar Dead Sea This rating is a reflection of how the property compares to the industry standard when it comes to price, facilities and services available. It's based on a self-evaluation by the property. Use this rating to help choose your stay! Home-made pasta, Thai dishes and signature chocolate desserts and watermelon granites are served at Kempinski Ishtar’s restaurants. 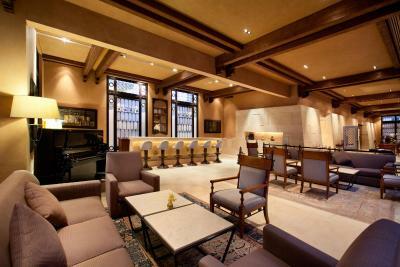 Try a drink at the Babylonian-inspired cocktail bar, or enjoy a whiskey and cigar at the lounge bar. 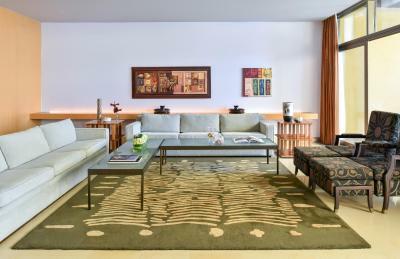 Guests can refresh in the 9 freshwater pools, or relax in the spa with traditional Thai massages or steam bath sessions. 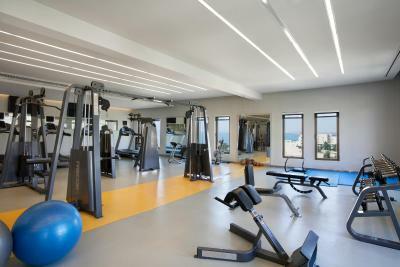 The state-of-the-art fitness center has personal trainers available upon request, and yoga and meditation classes are offered. 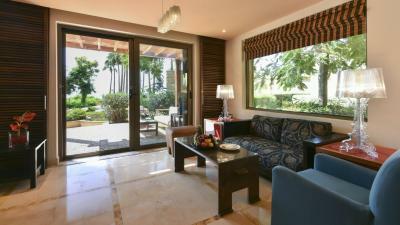 The closest airport is Queen Alia, about 43 miles away, and private parking is available on site. 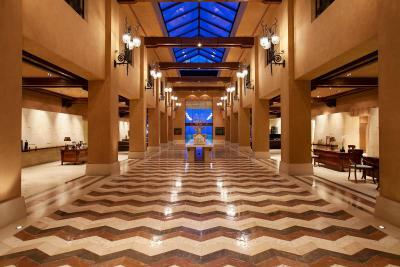 When would you like to stay at Kempinski Hotel Ishtar Dead Sea? 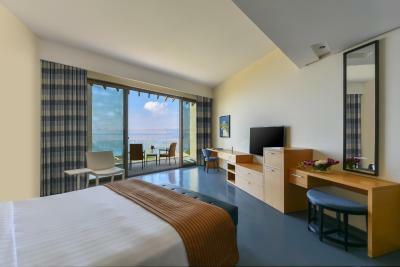 Located in the main building with private balcony overlooking the sea, this air-conditioned room offers a flat-screen TV and a desk. Located in the main building and featuring a separate sitting room with flat-screen TV, a changing room, and generous wardrobe space. 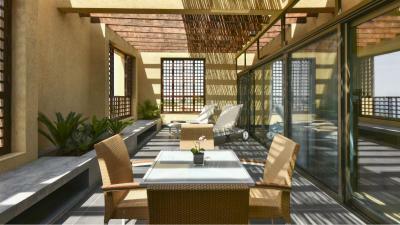 There is a spacious balcony or terrace with outdoor furniture, and views of the Dead Sea. 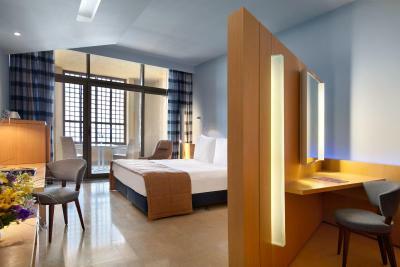 Executive suites are located in the main building and feature a separate sitting room with flat-screen TV, a changing room and generous wardrobe space. 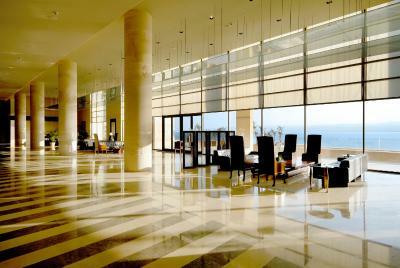 There is a spacious balcony or terrace with outdoor furniture and panoramic views of the Dead Sea. 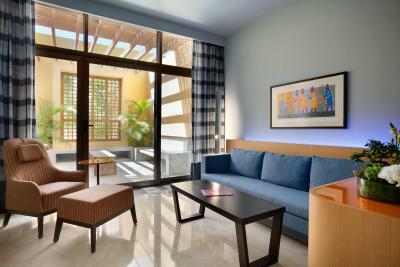 These rooms are located in the Ishtar village area and feature natural stone floors and designer furniture. 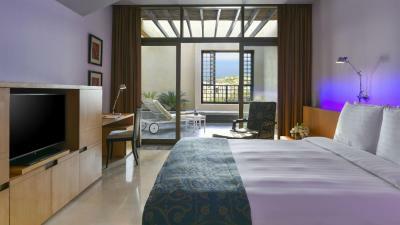 Rooms have a private balcony with terrace furniture and offer views of the Dead Sea. 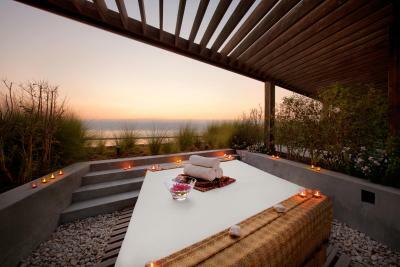 This room is located in the Ishtar village area and features a private furnished terrace overlooking the sea or the garden, a work desk, a large wardrobe, a flat-screen TV, a DVD player and an electronic room safe. 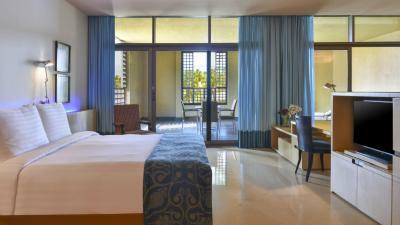 This suite is on the ground floor of the Ishtar building with direct access to the swimming pool and easy access to the beach. It features a separate living room, a work desk, a generously sized wardrobe and a separate porch with furnished terrace. 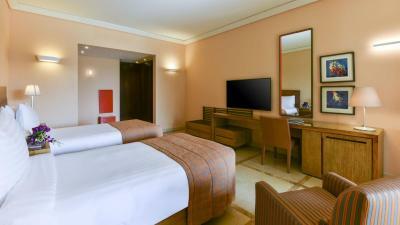 Ishtar Deluxe Room is located in the village Area with private furnished terrace overlooking the sea and the pools, this air-conditioned room offers a flat-screen TV with 48 international channels, DVD player, an electronic room safe and a desk. 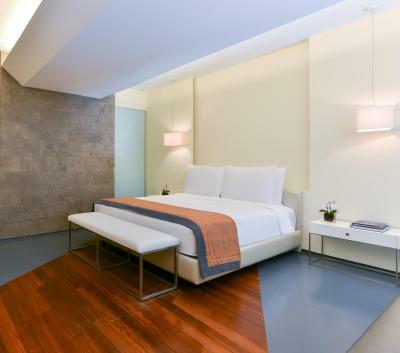 This room also includes: Luxurious toiletries, slippers, bathrobes and hairdryer Complimentary soft drinks in mini-bar Complimentary WiFi Complimentary tea and coffee facilities Complimentary local newspaper Pillow Concierge. Maximum occupancy of 2 adults and 1 child up to 12 years. 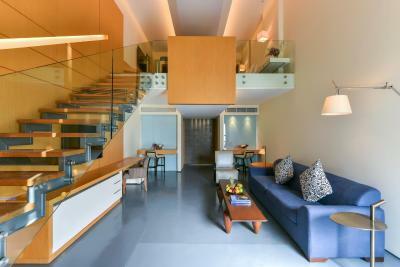 Rooms surface varies from 53 to 61 sqm. Ashur Pizza & Grill Restaurant. 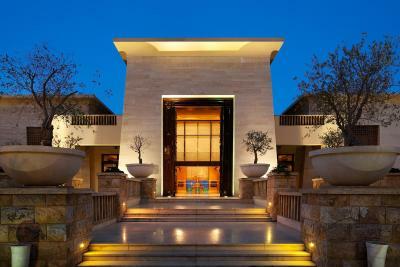 House Rules Kempinski Hotel Ishtar Dead Sea takes special requests – add in the next step! All children under 12 years are charged JOD 42 per night for extra beds. 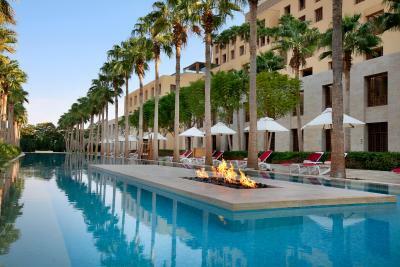 Kempinski Hotel Ishtar Dead Sea accepts these cards and reserves the right to temporarily hold an amount prior to arrival. 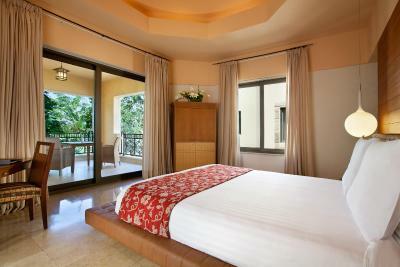 All rooms and Suites can only accommodate 2 adults and 1 child below 12 years old. Children from 1-6 years old are free of charge and children from 6-12 years old, will be charged JOD 42 for the extra bed and breakfast per room per night. Due to health & safety precautions the hotel does not allow any food or beverages (including alcohol) from outside the hotel to be consumed in the hotel. 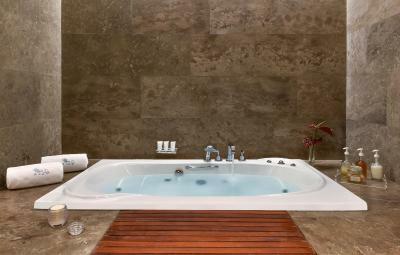 Rooms located in the spa does not include any spa treatments, and can only accommodate 2 adults. The only issue is the amount of smoking. I know it’s out of their control and an issue is the culture itself, but there should be a better system than they have in two of their smaller restaurants (pool and Italian). The non smoking section is always indoors and surrounded by smokers where the smoke gets trapped and becomes suffocating. When asked to move a table a few feet upwind outdoors we were denied and ignored but hoping management will address this issue going forward. Would love a response of their intended correction of this. The next day we tried the pool restaurant and they had a nonsmoking section right next to a table of guys smoking. We ended up finding an empty restaurant and also got by with room service which was great. The check-in process was unexpectedly long, although we arrived after 3 p.m. we were asked to wait a little because our accomodation was not ready. We have rented a car through hotel's reception in advance. The car was ready on agreed time and place, but the delivery guy did't know how to make GPS going (neither did we) and after we already started driving we realised the fuel was on the reserve. Kempinsky Dead Sea complex is not a hotel, it is a babilonian style city, with it's buildings, villas, streets, lanes, elevators, stairs, electric cars, pools, terraces, restaurants, caffes and bars, ending with a little beach at the seaside where you can float and never go under water. Upon arrival and rather tedious check in we received upgraded accomodation, a spacious appartment at the top floor of the main building overlooking the entire compaund and most of the Dead sea and its' coast line. We particulary liked the staff in Obelisk restaurant, young Noser was very helpfull and the girls at the entrance. The food was excelent, diversified and tasty. The spa rooms were a little bit cold, the air-condition did not work well. Perhaps it's not a good choice for this period of the year. the breakfast area outside is very cold in ambiance not up to a 5 start standard, too canteen. 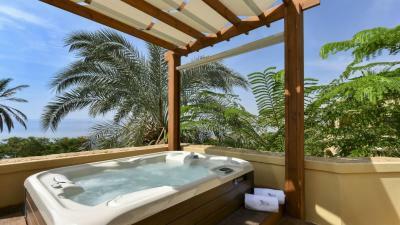 great view of the Dead Sea very nice spa treatment program. 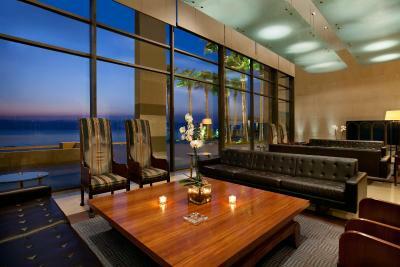 Extremely beautiful hotel, great Location. Very nice several pool areas, very strong service. 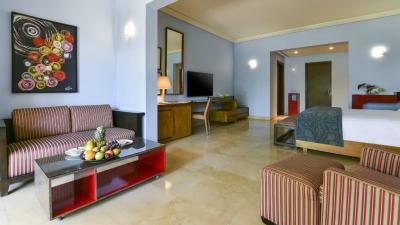 We had a great experience would certainly come back and strongly recommend this hotel. 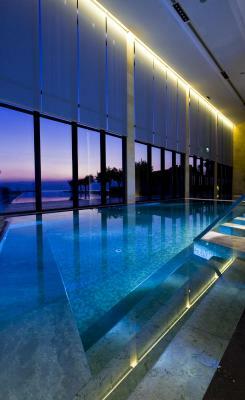 My room is in spa building. This building is a bit far from the pool, restaurant, and beach. Many many step i can reach all facilities. This hotel is magical. It has everything you need. We got upgraded to a junior suite and it was just magnificent. The service is spectacular. We had dinner at the Italian restaurant, great value for money! For the money I paid, I expected a way better experience. There was a mix up with our booking, check in was a lengthy affair, keys stopped working, we had cigarette butts in our room, no dressing gowns and just an overall dismissal when we voiced our concern. We asked for a late check out and were told that the hotel was fully booked, but when we complained we were offered a two hour extension. We weren’t made to feel welcome at all. My bathroom needed a thorough clean. The toilet, sink and bathtub didn’t look to be washed properly. 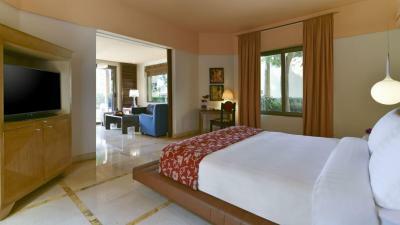 I had a complimentary upgrade to a beautiful villa room with amazing views. The food and service were amazing.